Drawp for School is a design, collaboration and workflow platform for K12 students and teachers. The complementaryDrawp Resource Marketplace is a repository for teachers to search, download and share Common-Core aligned lesson plans. In 2016, Drawp was awarded a National Science Foundation grant to develop the first digital language scaffolding tool for English learners. From the creator of Drawp for School, Drawp Unlimited is an iPad app that allows children to easily create and safely share their artwork with friends and family. Kids just swipe drawings to share within a parent approved network and all artwork is saved with unlimited storage on the Drawp cloud. A new website allows parents to view and print children’s artwork as books, canvases, note cards and prints. ReadAskChat is an evidence-based, dialogic reading method that empowers parents to read interactively with their childrena practice that fosters virtually every indicator of school-readinessfrom cognitive and social-emotional development to vocabulary attainment and concepts about print. 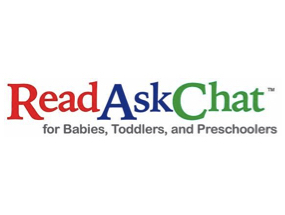 ReadAskChat was developed by childrens literature experts who have 30+ years experience in PK-12 literature-based language arts curricula.The National Science Foundation (NSF) has invested in ReadAskChat, saying it has the potential to be transformative. Telp Media managed the PR launch of ReadAskChat in 2017 securing positive reviews from major children’s media and educational reviewers. Seterra makes learning geography fun. Through engaging gameplay, users are motivated to learn the locations of cities, states, capitals and countries. The app includes bodies of water, mountains and volcanoes, as well as flags. Fun for kids or adults, Seterra is used by geography students at school or home as well as by geography fans of all ages. First launched in 1998 by founder Marianne Wartoft inSweden, Seterra quickly became the standard geography education software for Swedish schools. Seterra’s online version, released in 2011, is available in 30 languages and is popular worldwide. Telp Media successfully launched a press release of the iOS version of Seterra. Leo’s Pad Enrichment Program, by Kidaptive, is an award-winning adaptive-learning series for preschoolers designed by Stanford researchers. It was voted the winner of Startup World San Francisco and winner of Launch EDU. In 2013, TELP Media managed digital marketing, public relations and social strategy for Kidaptive’s Leo’s Pad series of adaptive education children’s apps. In 2014 TELP Media managed the social media launch for Learner Mosaic. Log(n) is a design, engineering and app development company that specializes in education technology. 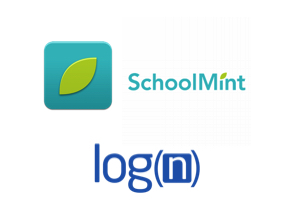 Log(n) works with clients such as Apple, Pearson, Edmodo and Kidaptive to create innovative apps, websites and software solutions. In 2015, TELPMedia managed a strategy and content marketing program that included writing and scheduling case studies, white papers and blog posts. TELP Media also created and launched a press campaign for Log(n)’s new admissions and enrollment system that they developed with Great Hearts Academies. 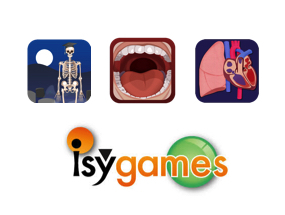 Isygames is an innovative educational technology company based in Madrid, Spain, that develops game-based science apps for mobile devices. Isygames’ goal is to create a range of entertaining educational products aimed at children ages five to fourteen. Often featured by Apple on the iTunes App Store and on Google Play, their apps include D. Bones, The Amazing Digestive Journey, Water Cycles and Green Up. Ninois a studio of developers and producers who believe that good stories are truly transformative. Nino creates narratives that enrapture and amaze kids big and small. Nino is focused on creating stories for mobile platforms, and their first launch is the award-winning “Love, The App” for iPad, winner of the BolognaRagazzi 2014 digital fiction award. TELP Media managed the launch of “Love, The App” and managed social media during the Bologna Book Fair. TELP Media manages the social media for www.AppFriday.com through Facebook and the TELP-owned @AppsEdTech Twitter handle. 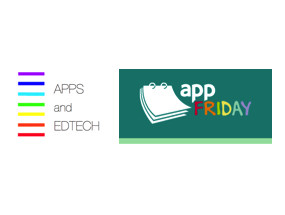 App Friday is a weekly promotion generated by Jellybean Tunes that highlights new releases of educational apps by family-friendly app developers. iExit is regularly the number one iOS travel app in the App Store. TELP Media has worked with Metrocket to launch new app updates, find partnerships for additional app content and strategize social media marketing. National coverage of iExit included a feature on the TODAY Show travel gadget segment with Steve Greenberg. 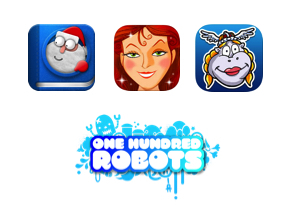 In 2011, TELP Media implemented a full-scale launch campaign for One Hundred Robots’ children book apps. Through online reviews, press coverage and social media buzz, their app, Hildegard Sings, reached number six on the iTunes App Store. One Hundred Robots was profiled on NPR and their apps were reviewed by the Guardian (London), Kirkus Books, and numerous online reviewers. 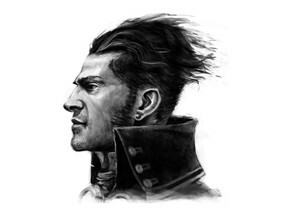 For digital publishers Noble Beast, TELP Media managed international marketing and crowdfunding for the Steampunk Holmes transmedia app project. The campaign raised $42,877 for the project on Kickstarter. TELP presented the Steampunk Holmes project at BookExpo in New York City. In addition, TELP supervised the hiring, training, and managing of social media marketing interns. Treasure Kai is a series of children’s book/educational apps that follow the interactive adventures of Kai as he learns about new lands while treasure hunting. Created by Karen Robertson,creator of Digital Kid’s Author, Treasure Kai has won top awards from the New Media Film Festival in San Francisco, Digital Storytime, and AppySmarts. TELP Media partnered with Treasure Bound Books to strategize social media and train social media assistants. A Word’s a Bird is an interactive poetry app released by Actialuna of Paris, France. Written by 2013 Crystal Kite Winner poet Orel Protopopescu, and illustrated by acclaimed watercolor artist Jeanne B. de Sainte Marie of Paris, the book app has received praise from former U.S. Poet Laureate Billy Collins as well as from reviewers in Europe and America. TELP Media managed public relations and social media for the U.S. launch of the app.